Bitstamp and cryptocurrency go way back to 2011, long before Bitcoin was a household name. Back them, the crypto landscape looked much different than it does today. Namecoin, the very first altcoin, was introduced this year, and the practically newborn Bitcoin was just starting to be traded in informal ways. Bitstamp was, therefore, a prescient effort on the part of its creators, and its enduring place in the cryptosphere is a testament to the hard work that has gone into achieving this longevity. Today, Bitstamp is an easy way to buy foundational currencies (Bitcoin, Ethereum, Litecoin, Ripple, and Bitcoin Cash) with fiat currencies US Dollars and Euros. You could easily stop reading this Bitstamp review now and go create a Bitstamp login and start buying cryptocurrencies right now. If you want to learn about the process in greater detail, however, check out the rest of this Bitstamp review below. Right now, there aren’t many places online where you can trade US Dollars and Euros for cryptocurrencies, at least not very easily. The major exception is Coinbase, which accepts fiat currency for Bitcoin, Bitcoin Cash, Litecoin, and Ethereum. However, Coinbase is so swamped with demand, both from new and existing users, that they often can’t take on new clients. So where does that leave you, the user who has never done this sort of thing before? There are some smaller exchanges that accept USD, like Changelly. Or you could sign up with one of the oldest and most trusted crypto entities in the game: Bitstamp. Bitstamp fees (0.25%) are reasonable and their service is well known. But there are more reasons that they are important. 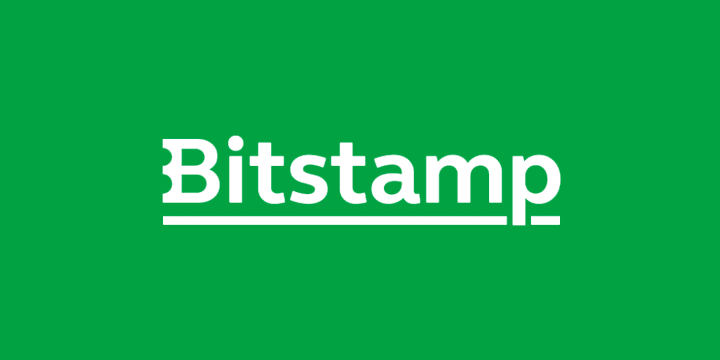 Bitstamp is headquartered in Luxembourg. This leaves them outside of the American government’s jurisdiction, the same American government who has subpoenaed records from American exchanges Coinbase and Bittrex. We’re not saying that this was a wrong action, but for those who want to ensure their own privacy, a non-American exchange like this is a good option. To be able to transfer US Dollars for the purchase of Bitcoin and altcoins, with a trusted exchange not based in the US – this is all but unique in the cryptocurrency industry. There are few onramps for fiat dollars into crypto anyway, cementing Bitstamp’s ongoing presence and influence in this still-young industry. Bitstamp continues to absorb a significant minority of new customers entering the cryptocurrency markets. We expect this to continue indefinitely, and recommend that you consider this service for future purchases. Creating a Bitcoin login and completing Bitstamp verification is much like the process used for major exchanges like Bittrex. Bitstamp vs Kraken account signups show that there’s a little more involved with signing up for Bitstamp, but this is mostly due to the fact that Bitstamp is located outside of the United States and must do its best to prevent fraud, money laundering, and the like. To begin the Bitstamp login process, navigate to Bitstamp.com and choose”Register” in the upper right hand corner. You’ll have to create a unique username and password, just like always, then check your email for verification and confirmation messages sent there. If you don’t immediately see them, check your spam folder. Once your account is initially created, you’ll still have to verify your account. This requires you to submit a fair amount of personal information, including pictures of your government issued ID and proof of your home address (like a utility bill with your name on it). This information helps Bitstamp confirm your identity, so that there’s no chance of fraudulent shenanigans going on with an anonymous user. Give Bitstamp everything it asks for, submit, and check for emails that take you to the next stage. Once everything has been submitted, your account will have to be formally verified, which requires automated and personal analysis from Bitstamp. This could take hours or days, depending on how many people are trying to use Bitstamp at the time you’re signing up. Be patient and send a contact to support if you like. Before making an initial purchase with Bitstamp exchange, we recommend that users find a digital wallet with which the store the coins they are going to buy on Bitstamp. Because Bitstamp only sells the most popular coins in the market, a multi-coin wallet like Exodus will accommodate anything you could buy on Bitstamp. On the left side of your new Exodus wallet, you’ll see wallets for all the currencies it supports. If you don’t see the one you want, go to the settings menu and add it. Note that in each wallet you have a “Receive” option. This is the address you’ll paste into Bitstamp after you buy your coins, which will allow you to withdraw coins to your Exodus account. More on this later. So you want to buy coins on Bitstamp. There are actually two ways for you to do this. You can deposit US Dollars or Euros into your account, which can be performed through a wire transfer from your bank or a credit card payment. Alternately, you can take cryptocurrencies you already own, like Bitcoin or Ethereum, and use these to trade for others. We’ll describe both methods. First, Cash payments and deposits, then Bitcoin/other cryptocurrency deposits. On the “Account” page of your new Bitstamp account, you’ll see an option to “Deposit” into the account. This will give you the option to add funds with your credit or debit card, or through a bank account which you already linked or will link at this time. The process is straightforward, and funds should arrive in minutes (for credit card and debit card payments) or a few days (for wire transfers). Alternately, you can use this page to deposit coins like Bitcoin, which you can then trade for other supported coins on the network. Trading with Bitstamp will be a process familiar to anyone who has done any level of crypto trading. We’ll cover the basics here anyway. Moving into the “Buy/Sell” page, you’ll find the charts and interface related to cryptocurrency trades. Select the trading pair you want on the right side, select the number of coins you wish to buy, and hit “Buy”. It’s as simple as that. After Bitstamp matches your Buy order with an existing Sell order, you coins will appear in the Bitstamp wallet. From here, send your coins to your Exodus wallet by copying the relevant Exodus wallet code (Your “Receive” address for Ripple, for example). Click “Withdrawal” on Bitstamp and paste this address into the withdraw address line. Select the number of coins you want to transfer. Finalize the order and in a few minutes, your coins should arrive in Exodus. That’s the long and short of starting an account, funding your account, and buying coins using Bitstamp exchange. Below, we’ll deal with some of the most pressing and specific questions we’ve found on the web in our handy FAQ section. If there’s a question you still have after reading this Bitstamp review, it will likely be answered there. 0.25% for all Bitstamp trading fees. This fee goes down the more you trade. There are also fees for withdrawals and other site services. All of the fees, you can see here. The services are actually pretty similar in that they provide a limited number of coins and accept fiat currency as payment. They all have very strong points. Check them out and see which works best for you. Is My Bitstamp Wallet Safe? It’s generally a good idea not to trust any exchange wallet. It’s not that the exchanges are shady; it’s simply that too many hackers try (and sometimes succeed) at stealing from exchanges. Don’t let your coins be among those stolen in 2018. Are the Bitstamp Ethereum Prices good? Bitstamp Ripple? Bitstamp Bitcoin Cash? Every one of these coins trades at different prices on every exchange upon which they are listed. At any given time, Bitstamp prices fall somewhere in the mix. Check prices on Coinmarketcap.com to get an idea about Bitstamp’s prices relative to those of other exchanges. Where Can I Read About Bitstamp User Experiences? The Bitstamp Reddit is a good place to start. There are other Bitstamp forums you can find on the internet for Bitstamp opinion of all kinds. Is the Bitstamp Debit Card Solution Secure? Is Bitstamp Safe? Is Bitstamp Trustworthy? Yes, Bitstamp security is high, especially if you enable 2 Factor Authentication on your account. Is Bitstamp Paypal an Option? You cannot complete your Bitstamp deposit with Paypal. The standard bank and credit/debit card Bistamp deposit methods are the only available options. By Bitstamp Verification is Taking Forever. What Gives? Bitstamp is experiencing high new account requests. All you can do is wait. Sometimes this process takes several days. If you need to make an account with a USD >crypto exchange ASAP, we suggest you try Changelly, though you’ll pay slightly more than with Bitstamp. What Bitstamp Currencies Are Available? Bitstamp currently accepts US Dollar and Euro fiat currencies. Is There a Bitstamp Deposit Fee? In all but the most unusual circumstances, Bitstamp deposit fees do not exist. This is always true when depositing cryptocurrencies supported by the Bitstamp exchange. Is Bitstamp UK a Thing? There’s only one Bitstamp, but people in the UK can definitely use it. Is Bitstamp Margin Trading a Thing? Bitstamp margin trading has reportedly been in the works for more than a year, but as yet this trading option has not been made available on the platform. Is a Bitstamp Trailing Stop a Thing? No, Bitstamp is not the place to look for complex order types. Bitstamp stores your coins in wallets, but you should always create a personal wallet on your computer or other device, as described in the Bitstamp review above. This will almost always make your coins safer, because there are many more people trying to steal from Bitstamp than are trying to steal from you (unless you’re Roger Ver or something. Hi, Roger!). What is My Bitstamp Deposit Limit? There is no Bitstamp deposit limit for verified Bitstamp users. However, for VERY large deposits there may be some delay and some queries from the Bitstamp team. This is not to say you can’t deposit loads of money into Bitstamp. Just be ready to prove you’re on the up and up. What is the Best Bitstamp Alternative? Probably Coinbase, CEX.io, or Changelly. Do I Have to Do Bitstamp ID Verification? Sorry Charlie. No Bitstamp coins without Bitstamp identity verification. Bitstamp registration is actually an important security measure. Is There a Bitstamp Minimum Deposit? There is none published by Bitstamp, but we haven’t personally tried every option. Likely not, but if there was it would definitely be with USD deposits. What are the Bitstamp Supported Countries? You can trade cryptocurrency on Bitstamp from any country on planet earth. But if you want to use a credit or debit card, you have to be from one of the EU-28 countries, Serbia, Turkey, Andorra, Moldova, Switzerland, Norway, Monaco, Montenegro, Brunei, New Caledonia, Guadeloupe, Isle of Man, Faroe Islands, Åland Islands, Gibraltar, Iceland, Greenland, Liechtenstein, Taiwan, South Korea, Australia, New Zealand, San Marino, Hong Kong, China, Singapore, South Africa, Chile, Kuwait, Cayman Islands, Japan, Argentina, Brazil, Israel, Puerto Rico, Peru, Madagascar, Mozambique, Qatar, Saudi Arabia, India, Lebanon, the Bahamas, Bahrain, French Polynesia, Dominican Republic, Curaçao, Dominica, Jordan, Barbados, Réunion, Jamaica, Paraguay, Ecuador, Trinidad and Tobago, Martinique or Sint Maarten. What Card Should I Use For My Bitstamp Credit Card Deposit? Bitstamp accepts card from major creditors like VISA. Is This an Objective Bitstamp Exchange Review? We have no financial interest in Bitstamp, and we do our best to portray it accurately. Where Can I Find a Bitstamp QR Code? You’re probably thinking of the QR code used in 2 Step Authentication. Here’s the Bitstamp 2FA guide for full details. I've Heard About Bitstamp Problems. Is Bitstamp Reliable? What Gives? All exchanges have complaining customers, and Bitstamp is no exception. Most of the problems people experience are due to network congestion from high demand (slow transfers, long verification times, non-responses from customer support). In our experience, these problems don’t often happen. Again, Bitstamp is not the place to look for complex order types. Look elsewhere for leverage option, but know that this is a very risky move in an industry as volatile as crypto. What's This Bitstamp 6-Digit Authentication Code Thing? That’s your 2 Factor Authentication. When enabled, 2FA requires you to input a 6-digit code generated by the Google Authenticator app on your phone. The code updates every 30 seconds. Only with both the code and your password can your account be accessed, meaning that you’ll be the only one with access as long as you have your phone and/or no one else knows your password. Where Can I Find the Bitstamp Website? That’s it for this Bitstamp review. If it hasn’t already been stated, remaining information is probably not very important. If you still feel attracted to the idea of trying Bitstamp, we think you totally should. Give it a try and see if it has, in your opinion, earned its reputation from the past 7 years. Whatever your experience with Bitstamp, we expect Bitstamp exchange to stick around for years to come, serving cryptocurrency users and investors around the world. If you’re looking for a new convenient fiat onramp into crypto, you can’t go wrong with Bitstamp either. We hope you’ve found this Bitstamp review helpful!